"The idea of an independent Kashmir was originated by the Communists. 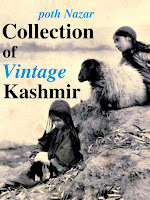 For "it reflects the innermost desire of the Kashmiri people" (Cross Road, May 20, 1949). The same paper, the official organ of the party, on January 6, 1950, called on the people of Kashmir to "concentrate on mass struggle for the realization of freedom, democracy and peace, for the end of monarchy, for a people's democratic state, and for friendly relations with the Soviet Union, the People's republic of China and other neighbouring countries." Again on July 27, 1952, the paper regretted that the Kashmir delegation was being forced to accept the Indian government's terms on Kashmir's constitutional position in the Union, agreed upon in the Delhi agreement. By the time the leaders of Kashmir started shifting toward independence, the Communists had, ironically, developed their own doubts about it. They were upset by Adlai Stevenson's cordial talks with Abdullah during his visit to Kashmir in May 1953 and reported U.S. support for Kashmir's independence. Moreover, by now post-Stalin Russia was coming to terms with India, necessitating a more nationalist orientation on Kashmir policy from the CPI. Accordingly, on August 2, Cross Road published the text of the party resolution which "viewed with grave concern reports from Kashmir that some leading personalities of the Sheikh Abdullah group and its supporters had made public declarations that the state of Kashmir should be independent of India." "The shift in the Kashmir policy of the Communist party of India, in response to its international requirements, had handicapped the Communists within Kashmir. Having once encouraged agressive trends in Kashmiri nationalism, it had now become a champion of Indian nationalism. The party, which had called accession to India treacherous in 1950, pleased for a "de jure recognition of the present frontiers in Kashmir" in 1956, and by 1957 demanded abandonment of Pakistani aggression. Likewise, the communists first favoured full independence, then later supported limited accession, and finally advocated full integration into Union. When the DNC [Democratic National Conference], taking the Communist position, demanded in the State Assembly the extension of the jurisdiction of the Supreme Court and the Union Election Commission to the state, Bakshi condemned it as a pro-merger party trying to "sell Kashmir to India." In fact, the DNC stand helped him to appear a champion of Kashmir's autonomy. In Jammu the DNC group, in its effort to outbid the Praja Parishad, championed Dogra chauvinism and demanded a greater share for Jammu in services and in developmental expenditure. This further isolated the party in the Valley and led the National Conference to spread the rumor that the DNC was an agent of Hindus conspiring to get the state merged with the neighbouring Hindu majority state of Himachal Pradesh. The DNC was further weakened by fundamental ideological divisions within the organisation. The Jammu group, led by Ram Piara Saraf, was categorically committed to the discipline of the CPI and the principles of Communism, while the Sadiq group of Kashmir had a broader based and was nationalistic and less doctrinaire. On issues like the Tibet and Sino-India disputes, the divergence between the two groups became very marked. " "India's tough international line on Kashmir also had a demoralising effect on the secessionists. Krishna Menon declared in the Security Council debates in 1957 that Kashmir was as irrevocable a part of India as Madras and the Punjab. Pakistan's international prestige was at a low ebb. The merger of several linguistic states in West Pakistan into a single province and the imposition of martial law were not inspiring events for the Kashmiris. Sham Lal Yachu, publicity secretary of the Political Conference, the only professedly pro-Pakistan party of Kashmir, declared in a lengthy statement that serious rethinking had started in his camp. He spoke of the advantages of Kashmir's willingly becoming a part of India. Yachu was not disowned by his party. Similarly, Prem Nath Bazaz, the first vocal exponent of Pakistan's case in Kashmir, expressed his disillusionment with Pakistan. 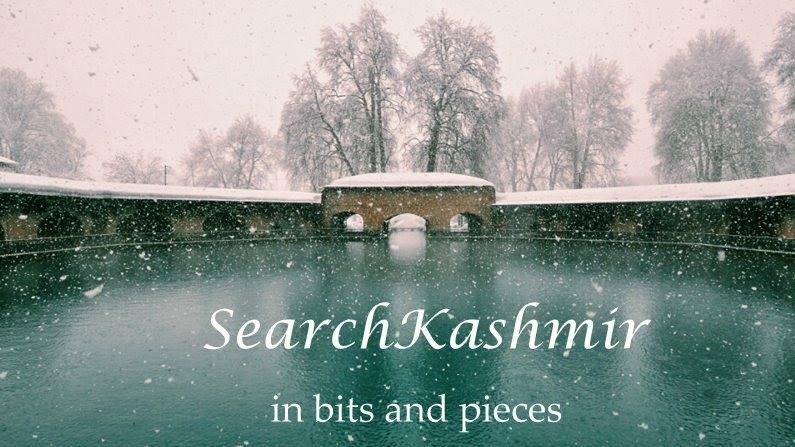 In Abdullah's camp, too, pressure for a settlement with India was growing, and possible solution for Kashmir within the Indian framework were discussed." Balraj Puri (Editor, Kashmir Affairs, this piece was first published in his magazine in 1960 ) on Jammu and Kashmir in "State Politics in India" (1968) Ed. Myron Weiner, published by Princeton, which was the go-to place for C.I.A for "scenario evaluation" back then for ops like Iran coup of 1953. While pre-1960s and post-1990 writings of this circle are widely available freely and shared by "experts"... this evaluations from 60s when pro-Pakistan lobby was on a back-foot would cost you around Rs.7000.